Wet shaver's the world over agree that badger hair makes the best shaving brush. The very best badger hair is the silver tip. 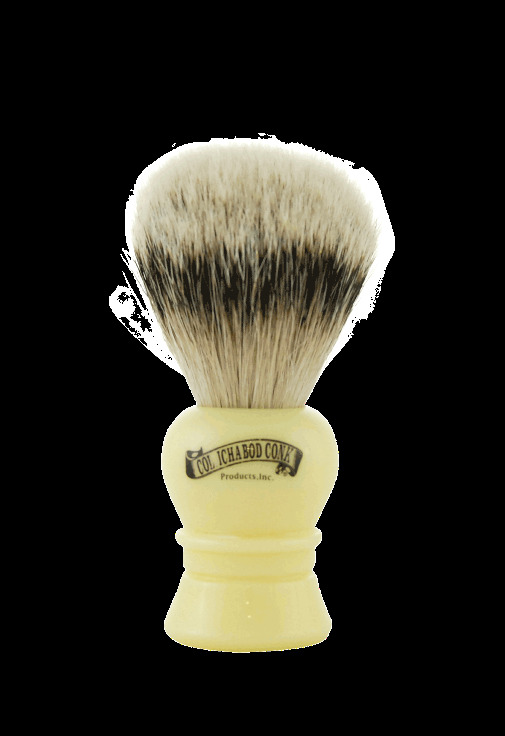 Here is a classic style silver tip badger shave brush with molded faux ivory resin handle.. A great brush at a great price! Bristle material: Silver tip badger hair.